Consuming drinks made of natural ingredients not only promotes our health, but nourishes our skin and hair too. No, we are not talking about those boring and tasteless beverages. Rather, here are some yummy drink recipes that will enhance your beauty a hundred times. Follow the method of preparation mentioned on the package, if you are using tea bags. In case, you are using loose leaf tea, just add it to a cup of boiling water to come up with fresh green tea. Put all ingredients in a food processor and blend well to prepare a smooth mixture. At first, you need to heat up the water. As soon as it starts boiling, take it out of the flame and pour over the ginger slices. Wait for a couple of minutes so that the properties of the ginger go into the water nicely. Add lemon juice and cayenne pepper powder to it. Stir well. Keep all ingredients in a blender and blend well. It will form a smooth mixture of medium consistency. Just like the previous drink, put all ingredients in a food processor and blend properly to come up with a smooth mixture. Prepare a smooth and creamy mixture by processing all ingredients in a food processor nicely. 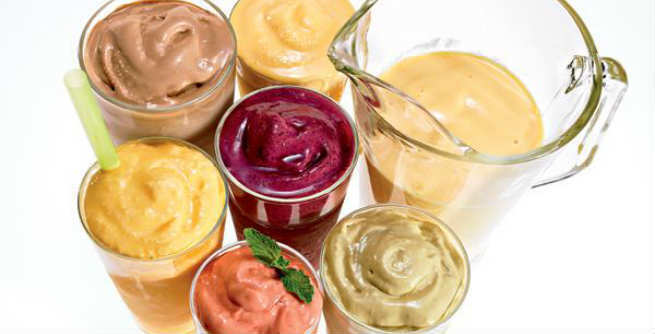 Combine all of them in a blender and prepare your very own ‘ultimate beauty bonanza’. Start with pouring the almond milk into the food processor and follow it by all other ingredients. Form a creamy mixture by blending well. Put everything in a blender and form a thick smoothie by combining properly. Prepare a thick mixture by blending all the ingredients together. Kick start your day with this smoothie in order to get the best results.